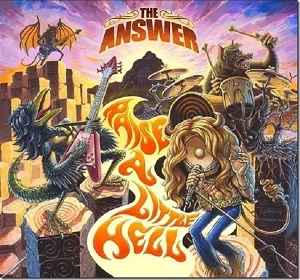 Irish Rockers the Answer will release their new album Raise a Little Hell this March in North America via Napalm Records. This is the follow up to their critically acclaimed 2013 release New Horizon. The artwork by Sebastian Jerke and final track listing has now been revealed. The record was produced by Guillermo ‘Will’ Maya and mixed by Chris Sheldon.